From Prince Charles in 1948 on down to Prince Harry's anticipated first child, the public has always been fascinated with the progeny of the Royal Family. They are born into a life of wealth and privilege, but also relentless scrutiny. All eyes will once again be on the Royal Family as Prince Harry and his wife, Meghan, welcome their first child in April. He or she will be seventh in the line of the succession to the throne. 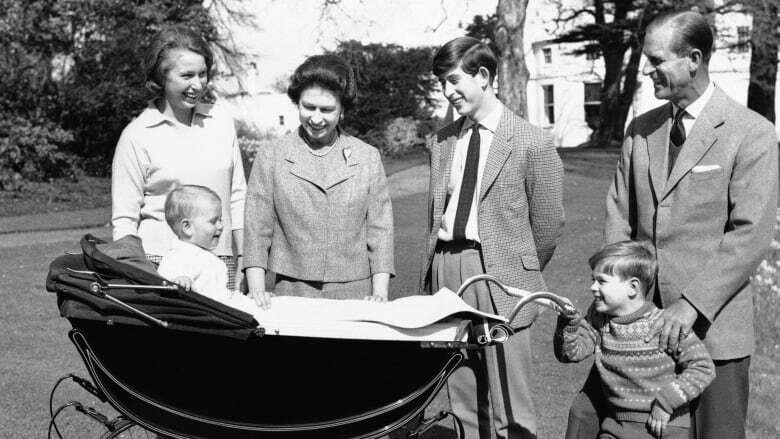 Here's a look back at 70 years of CBC reporting on royal births. 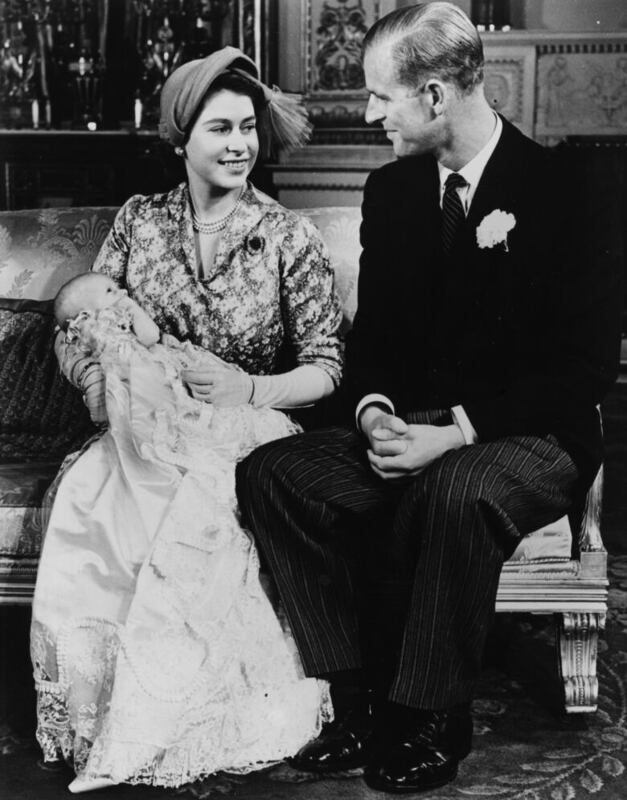 Prince Charles was born on Nov. 14, 1948, a year after the marriage of his mother,Princess Elizabeth, to Philip Mountbatten, in 1947. From Paris, CBC correspondent Matthew Halton described how a puzzled French friend asked him about the crowds gathered outside the palace awaiting news of the birth. Halton himself said he didn't entirely understand the mania for the newest member of the Royal Family, who would later be named Charles. "No doubt it was partly fun, partly a way of spending Sunday evening," he said. "Partly it has to be the romantic feelings that must attend the birth of a child in a great palace to a celebrated princess." Halton also made a calculation. "If his grandfather the King and his mother the princess live the full span of life," Halton said, "he may be 50 or 60 years old before he ascends the throne." Charles turned 70 in November 2018 and is marking 50 years since his investiture as the Prince of Wales — the next in line — this year. Not even two years passed before crowds gathered once more to await a royal birth. On Aug. 15, 1950, CBC "women's commentator" Monica Mugan delivered a detail-packed report from London on the newest in line to the throne. "Her Royal Highness Princess Elizabeth … was safely delivered of a princess at 11:50 a.m. today," read the notice that a messenger pinned to the gate at Clarence House, the princess's residence and where the birth took place. Mugan said the crowd outside cheered. Anne, as she would be named, was third in line to the throne, behind her brother Charles and her mother Elizabeth. 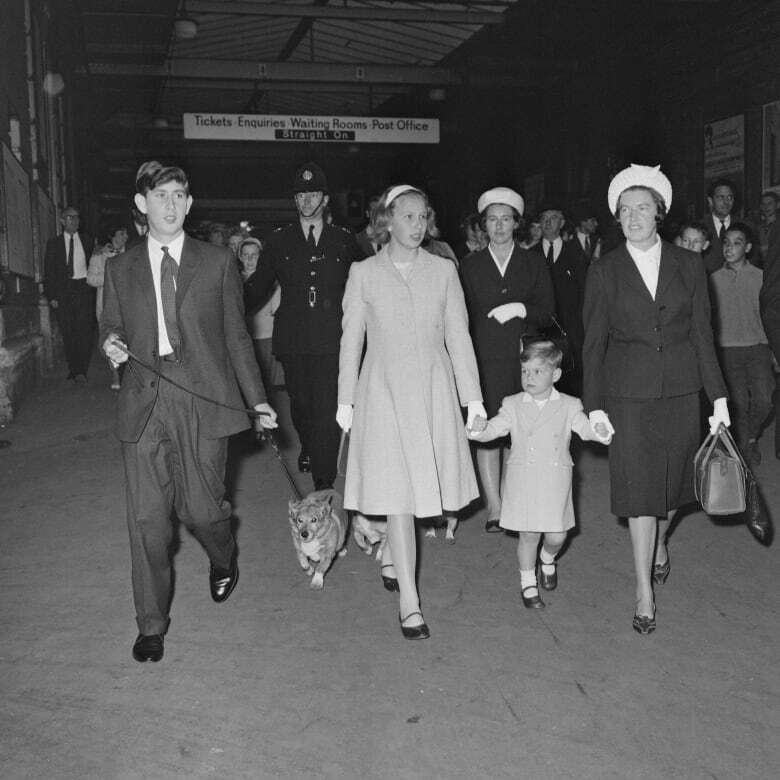 When her mother became Queen in 1952, Anne was, for a brief time, second in line to the throne. But she fell to third in line with the birth of her baby brother in 1960. 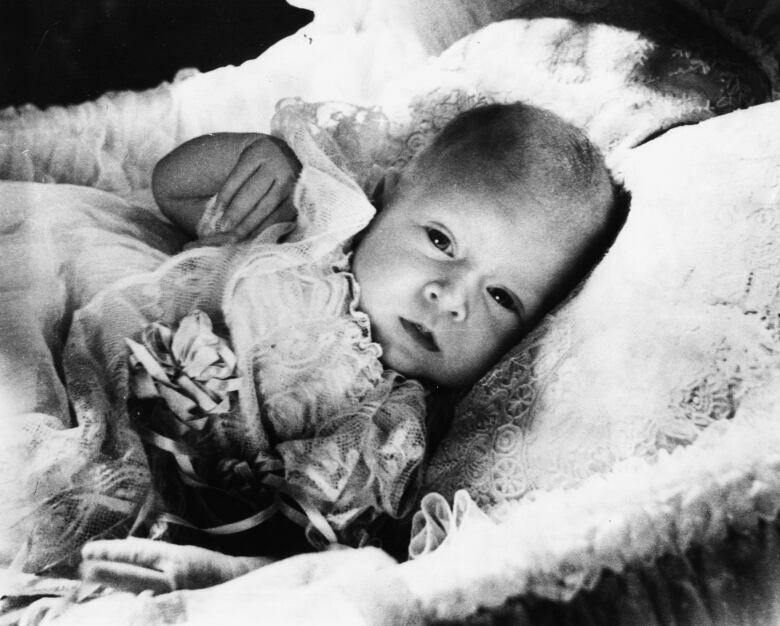 It had been a full decade since the birth of a baby in line for the throne when Andrew was born on Feb. 19, 1960. Heralded as the "the first child born to a reigning sovereign in 103 years," Andrew's arrival was covered at length. CBC Radio even interviewed the BBC announcer who first read the news to Britons. John Snagge had the distinction of bringing decades of momentous news to listeners, including the birth announcements of Royal Family members from Elizabeth in 1926 to the present in 1960. "Today for the first time I was able to say, 'the Queen has had her baby, and it's a boy,'" he said. Polled for reaction to the news, one woman got to the heart of the matter. "I'm awfully glad it's a boy, because if anything should ever happen to the older one, well then there's still a king along the way." 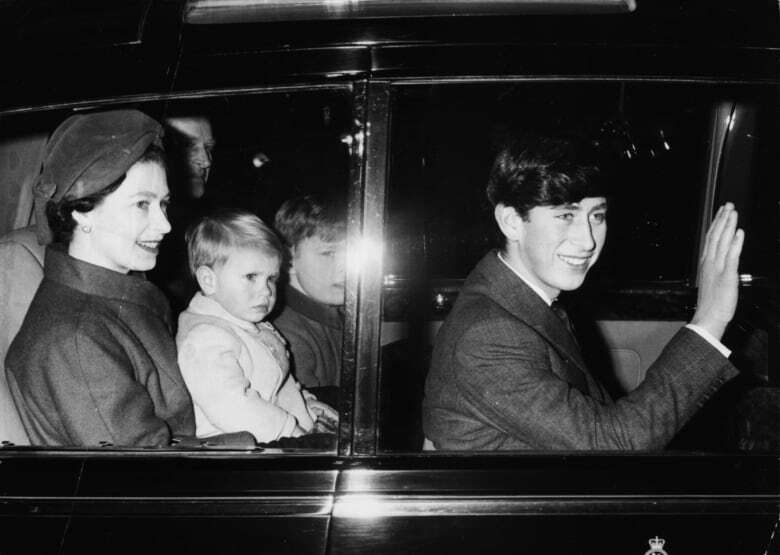 On March 10, 1964, a third son, who would later be named Edward, was born, and Princess Anne's place in the line to the throne shifted to fourth. Canada's prime minister, Lester Pearson, was quoted as pronouncing it "happy-for-everyone news," and CBC Radio reporter Ron LaPlante ran down the list of the celebratory formalities that would be carried out. A "delighted" Prince Philip called for champagne and four-year-old Prince Andrew was given a peek at his new brother. Cheering crowds bearing Union Jacks were gathered outside Buckingham Palace as well as the hospital where Diana, Princess of Wales, gave birth to the second in line to the throne on June 21, 1982. "I think he's going to be like his father," said a young woman at the palace. "A people's king, not a monarchy king." Without many more details besides the baby's weight (seven pounds, one ounce), CBC reporter Brian Stewart focused on the arrival of the Queen from holiday and the persistence of well-wishers, who had been holding vigil since 6 a.m. that day. The birth of William Arthur Philip Louis, as he would be named six days later, was announced at 9 p.m. but happy Londoners remained at the palace gates "into the early hours of the morning," said Stewart. The birth of his elder brother led The National, but when Diana and Charles had a second child, anchor Knowlton Nash wrapped the broadcast with the news on Sept. 15, 1984. Reporter Patrick Brown was there as an elaborately costumed announcer, bearing an ornamental mace and ringing a bell, came out to deliver a report. "The Princess Diana has issued forth a second child," he said. "It is a boy." If he had anything to add, it was drowned out by the shouts of thrilled royal-watchers. 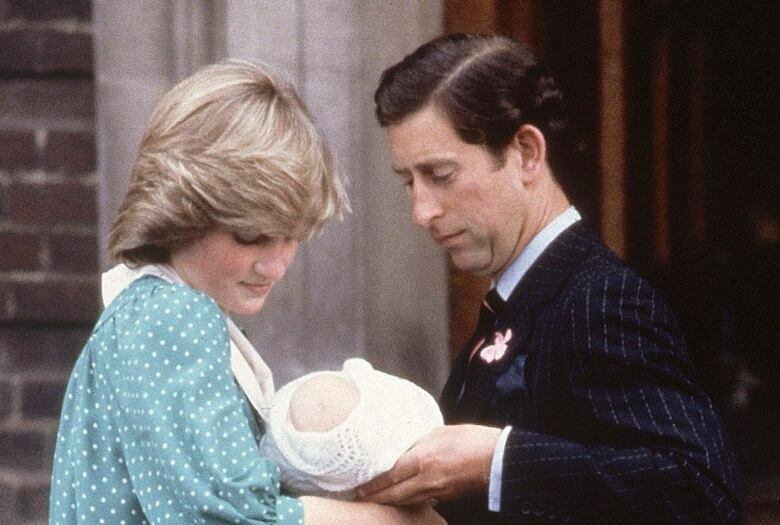 "It's a little early to say," said a kerchief-wearing observer, "but I'm sure Diana will give us a little girl next time round." The boy, third in line to the throne, was later named Henry, but was very quickly nicknamed Harry. For the superstitious, Aug. 8, 1988 — or 8/8/88 — is considered a very auspicious date. 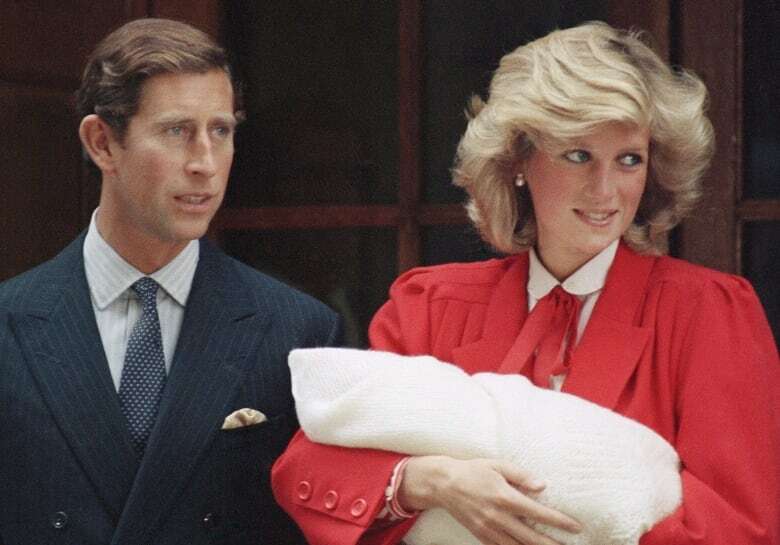 "On the date that the Chinese say is the luckiest in this century, Buckingham Palace … announced the birth of another royal baby," said CBC reporter Sheila MacVicar that night. And as the announcement posted to the palace gates showed, the luck didn't end there for the first child of Prince Andrew and his wife, Sarah, Duchess of York. The baby, a girl, was born at 8:18 p.m.
After officially opening a new soap factory, the Queen had told the assembled crowd that she was "fed up with waiting," added MacVicar. And just as her parents' marriage had done two years earlier, the new baby's birth was expected to be a boon for the souvenir industry, which was waiting for the announcement of the baby's name. Bookies were giving three-to-one odds on Annabel. Gamblers who bet on it weren't so lucky: the baby's name, announced two weeks later, was Beatrice. The birth of William's first child in 2015 would do more than bump everyone else down the line of royal succession. Governments in Commonwealth countries around the world, including Canada, effected laws that would allow the new baby to become the sovereign regardless of gender. Until then, if the baby was a girl who was then followed by a boy, the boy would take precedence in the queue to be next on the throne. According to Canadian Heritage Minister James Moore, the change was necessary to "modernize the Crown." "Last year, when the Duke and Duchess of Cambridge announced they were expecting their firstborn … Buckingham Palace made the suggestion that a modernization of the rules of succession to the throne … needs to happen," he said on CBC's Power & Politics. As a result of the update to the law, William's three children — George, Charlotte and Louis, born in 2013, 2015 and 2018 — are third, fourth and fifth in line, after Charles and William.